Fair to good condition; embroidery fine, but cap has been patched and gray ground cloth has faded. 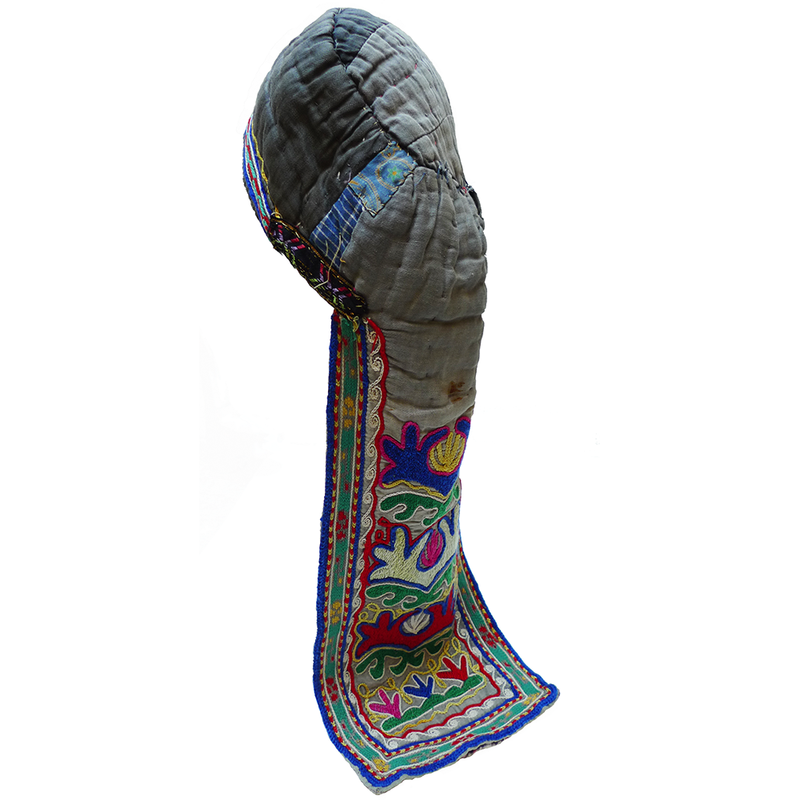 Some Uzbek and Tajik women wore soft rounded caps with a long embroidered plait-cover that extended down the back. 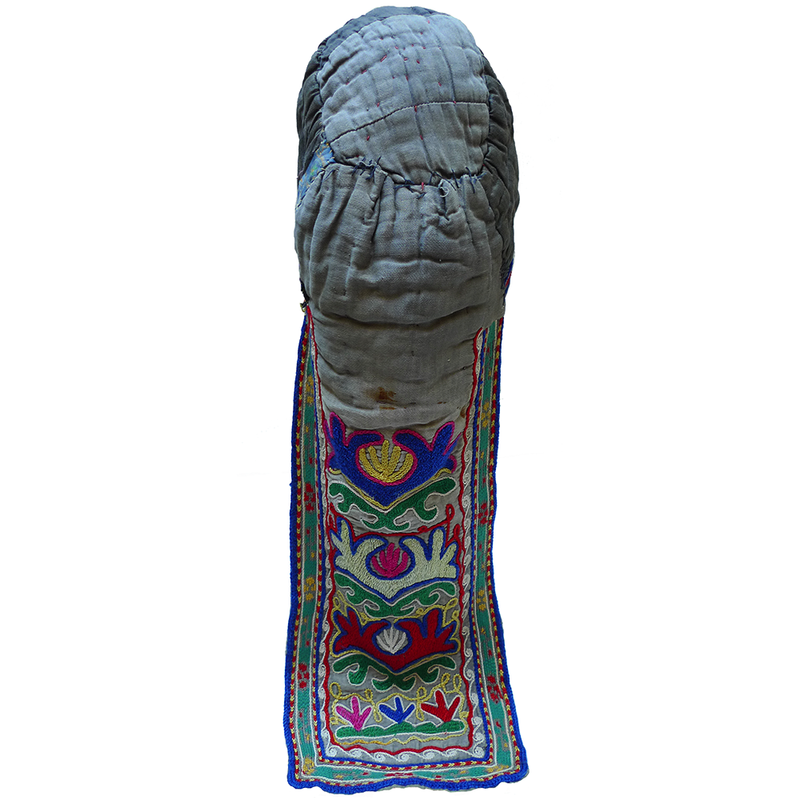 Called a kulta, kultapush, or kiygich, it served not only to cover a woman’s head, but her long braids as well. If you are interested in this kulta and would like more information please contact Susan Meller.